The Holy Trinity Anglican Church, a rendered brick building situated in Davy Street, Taradale, was constructed in 1859 and replaced an earlier, 1856, timber church which became used as the Sunday School and Church Hall, a function which it has retained to this day. The current church was constructed to the design of architect and surveyor, Thomas Turner in an early Gothic revival style, popular for church design during the nineteenth century and styled after English parish churches. 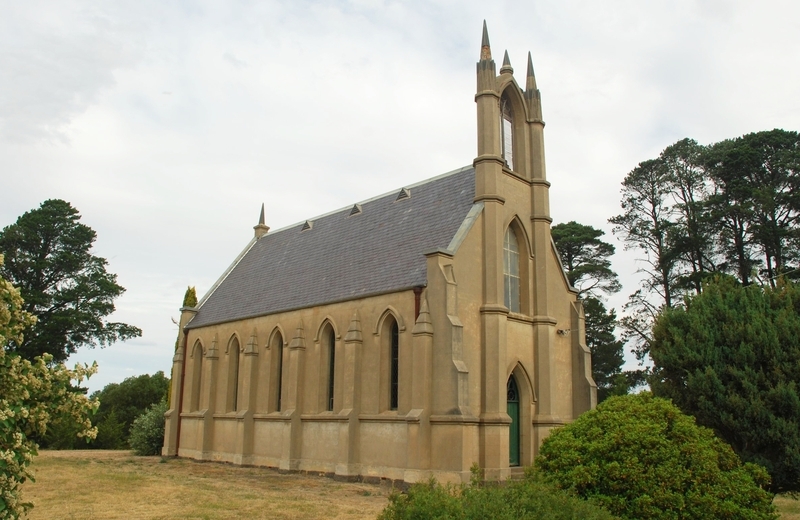 The Holy Trinity Anglican Church and Sunday School Hall at Taradale is of historical and architectural importance to the state of Victoria. 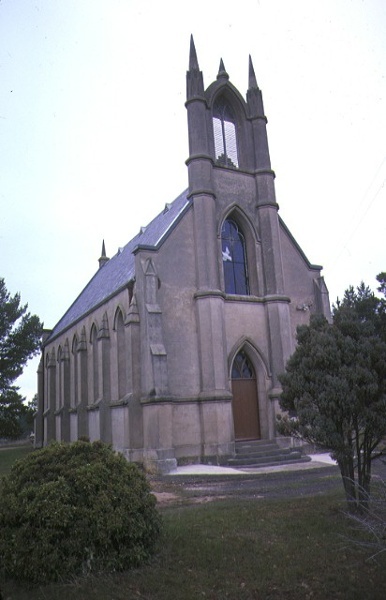 The church and hall are an important element of the early development of the Taradale area as a result of the goldfields in central Victoria. The buildings illustrate the growth of the town, like many other goldmining centres, from a temporary settlement of timber buildings, to an established centre of population and with the construction of permanent structures. The Taradale Church of England site illustrates both phases of the town's early development. 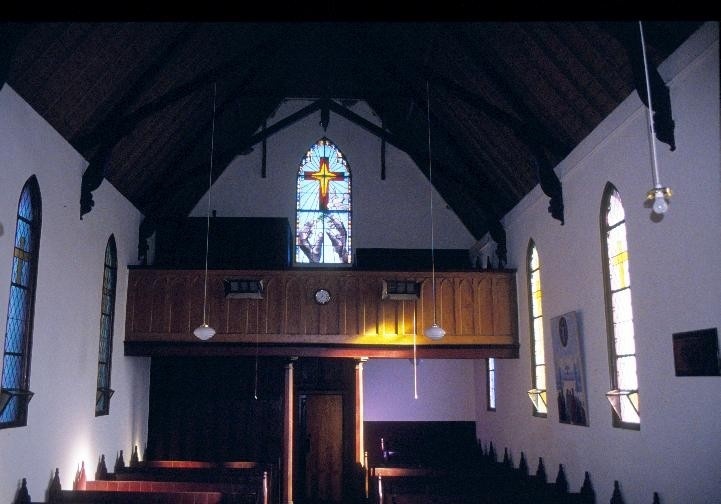 The Holy Trinity Anglican Church is of architectural merit as a well designed example of the picturesque Gothic. 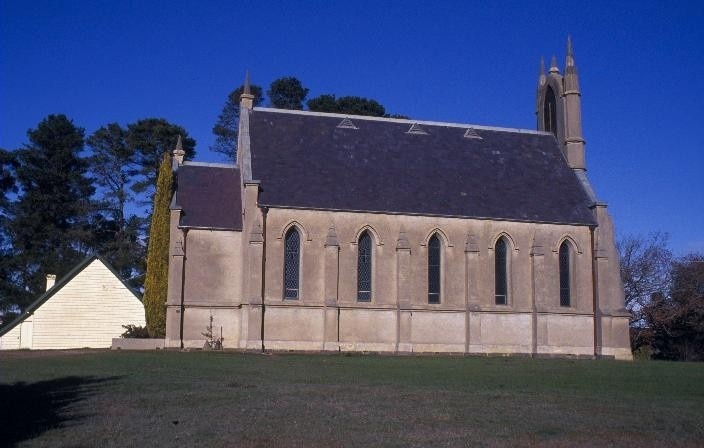 Picturesqueness, an essential characteristic of successful Gothic buildings, is a guiding concern of the design of the Taradale Anglican Church, which employs its elevated site and surrounding vegetation to emphasise the vertical aspects of the building, its importance in the town and its spiritual associations. The composition of the building is interesting with an unusual treatment of the west front. The building contains many features of significance including early timber pews, early coloured and stained glazing, moveable lectern, pulpit, an honour board and a marble memorial tablet. 1. 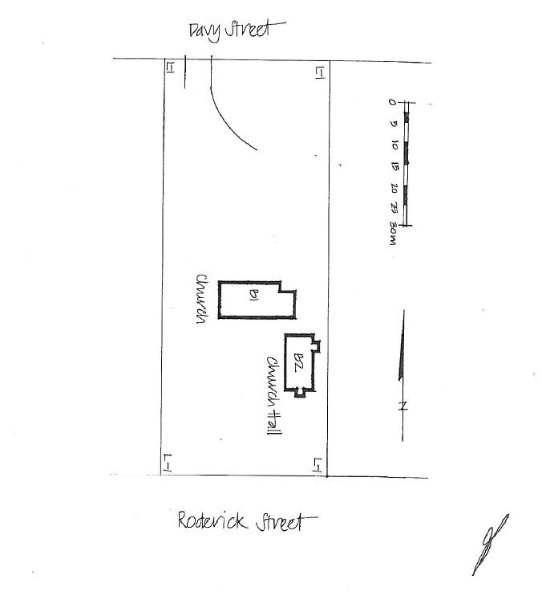 All the buildings known as the Holy Trinity Anglican Church and Sunday School Hall and marked B1 and B2 on Diagram 607945. 2. All the land marked L1 on Diagram 607945 held by the Executive Director, being all the land described in Certificate of Title Vol. 9704 Folio 987 and Vol. 9704 Folio 988.
marbled areas. Carpet must be in heritage theme. and other existing decoarative surfaces. permit exempt provided new plumbing is not externally exposed..
plumbing is not externally exposed. heating unit (boiler etc) is concealed from view. any original light switches, pull cords or GPO's are retained in-situ. mirrors, and other wall-mounted works of art are permit exempt. Installation of bulk insulation to the roof space is permit exempt. Installation of smoke detectors is permit exempt. standards of the Burra Charter.